Beyond Strength has many different options to help you achieve your fitness goals! It does not matter if you are a beginner or an elite athlete, Beyond Strength can help you make continuous progress in a safe manner. Come be a member at Beyond Strength and experience the awesome workouts and fun atmosphere first hand. Our trainers will walk you through the workouts, monitoring your form, weight and progress along the way! Customized personal training program delivered in an easy to use online platform. We will be there along the way to monitor your progress and change things as needed to keep you on track for your results! 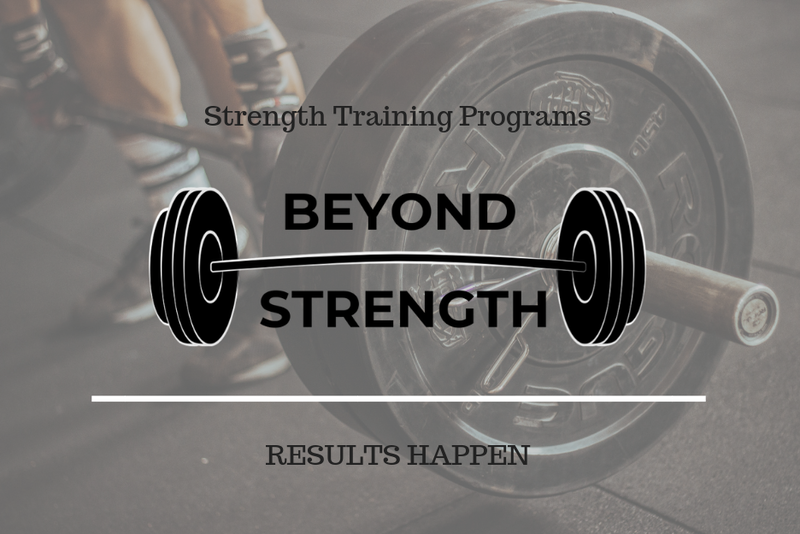 The Beyond Strength online team gives you access to a private Facebook group that has video demonstrations of all our Class Programming and tons of health and fitness related tips, topics, & discussions. These are tried and true strength training programs. Every workout has been done by one of our team members and is a sure fire way to get you headed in the right direction with your training. Check out our library of workouts available. These can be immediately downloaded, as well as print options.